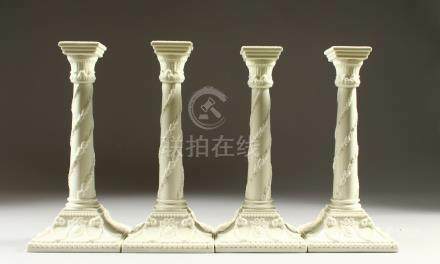 1217: A SET OF FOUR WORCESTER STYLE BLANC DE CHINE GLAZED CANDLESTICKS, of classical design. 27cms high. 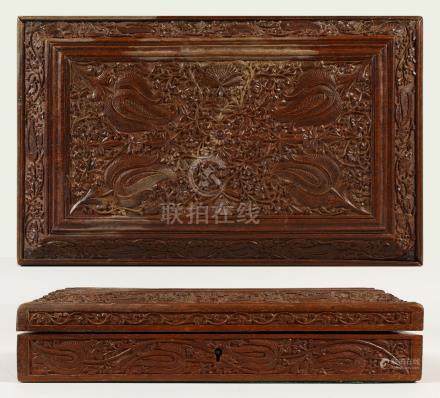 1381: A FINELY CARVED INDIAN SANDALWOOD BOX with velvet interior. 28cms long x 17cms wide. 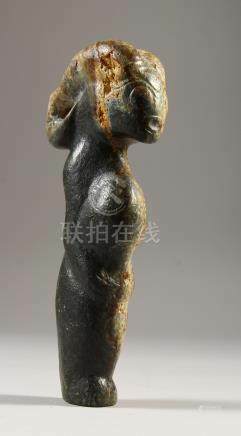 1391: A CARVED STONE RAM'S HEAD SHAMAN'S FIGURE. 19cms long. 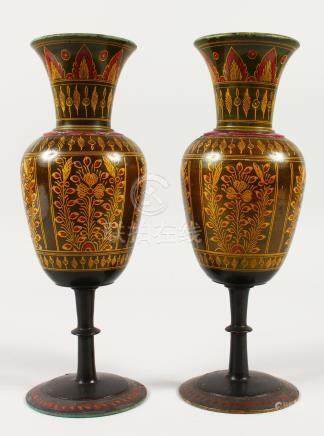 1415: A PAIR OF HOSHIAPUR SANDALWOOD VASES, turned wood and painted. Retail label on base. 26cms high. 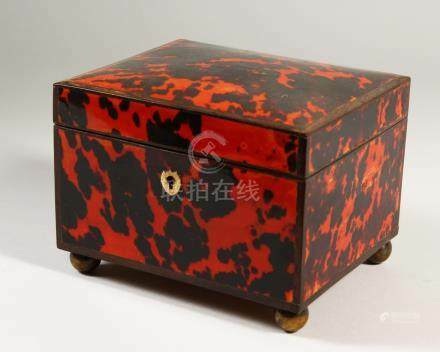 1432: A DUTCH TORTOISESHELL BOX with sandalwood interior on bun feet. 15cms long. 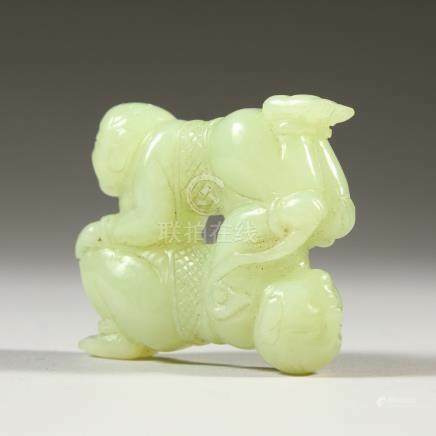 1553: A CHINESE JADE CARVING OF TWO BOYS. 5.5cms wide. 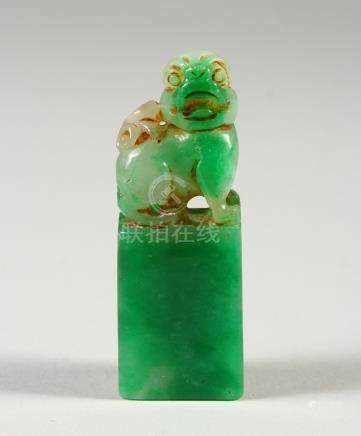 1554: A CHINESE JADE DOG OF FO SEAL. 7.5cms high. 1555: A SMALL CHINESE GOLD SPLASH CIRCULAR CENSER ON STAND. 605cms wide. 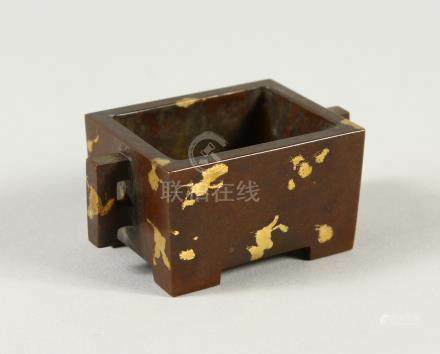 1556: A SMALL CHINESE GOLD SPLASH RECTANGULAR CENSER. 7cms wide. 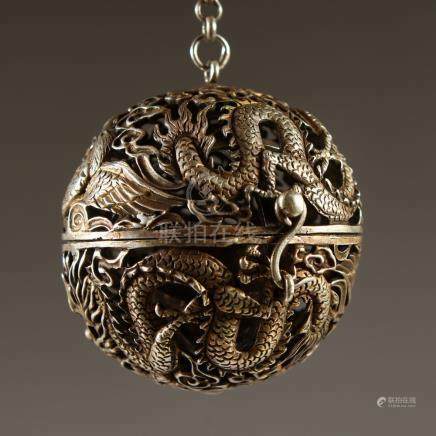 1557: A CHINESE SILVER PIERCED DRAGON BALL CENSER. 5.5cms diameter. 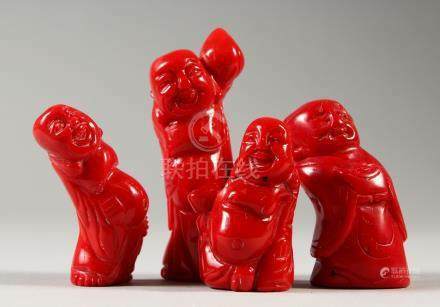 1562: FOUR CHINESE CARVED CORAL FIGURES. Largest 8cms high. 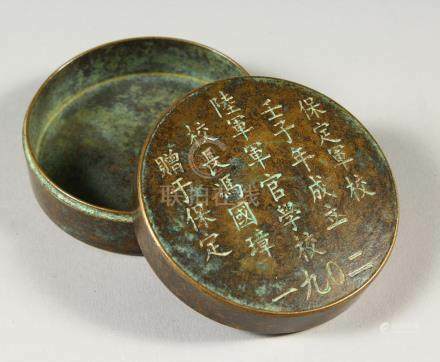 1566: A SMALL CHINESE CIRCULAR BRONZE BOX AND COVER, with calligraphy inscription. 7.5cms diameter. 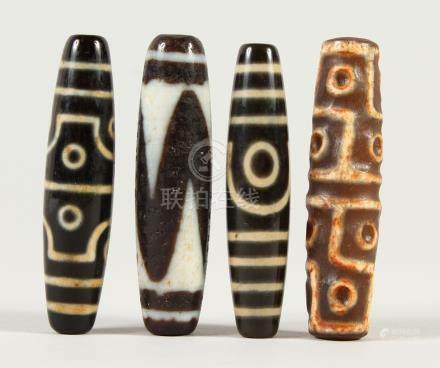 1569: FOUR TIBETAN AGATE BEADS. Each 6cms wide. 1576: A CHINESE TALL CARVED SOAPSTONE SEAL. 20cms high. 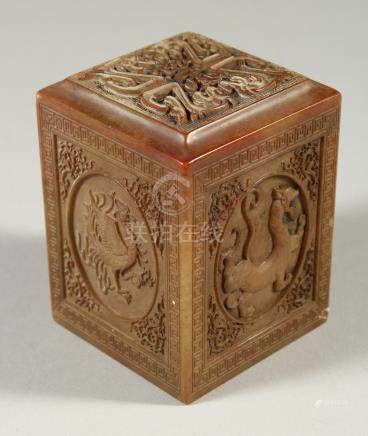 1577: A CHINESE SQUARE CARVED SOAPSTONE SEAL. 8cms high. 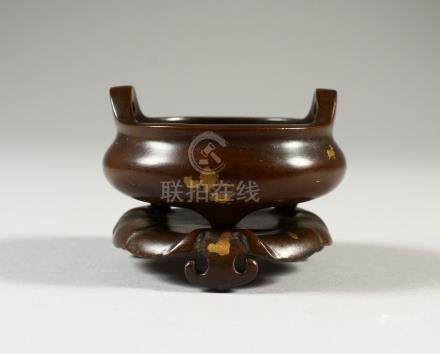 1579: A CHINESE CIRCULAR BRONZE TWIN HANDLE CENSER, with nine character marks to the base. 14cms wide. 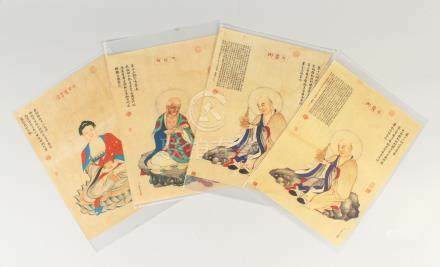 1580: A SET OF FOUR CHINESE PICTURES, of seated figures, unframed. 27.5cms x 21cms. 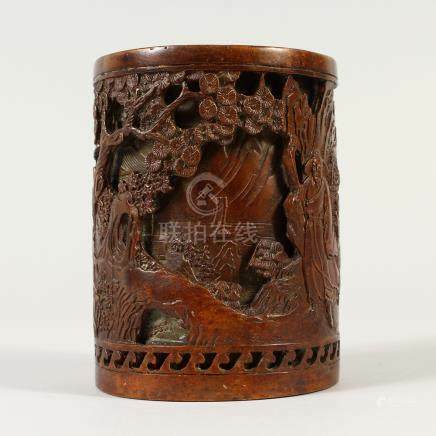 1583: A CHINESE BRONZE BRUSHPOT, decorated with figures in a landscape. 14cms high. 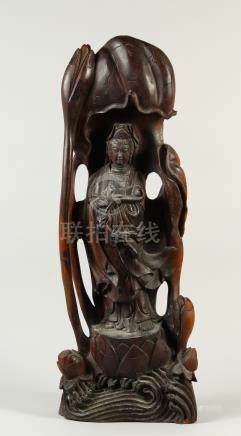 1593: A LARGE CARVED WOOD FIGURE OF GUANYIN. 74cms high. 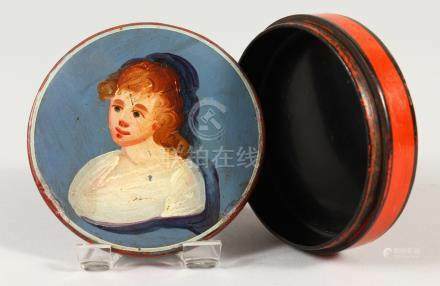 1730: AN EARLY 18TH CENTURY LACQUER CIRCULAR BOX, the lid with a primitive portrait of a girl. 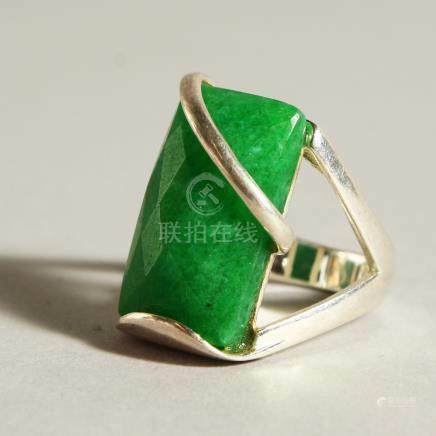 1856: A SILVER AND JADE RING. 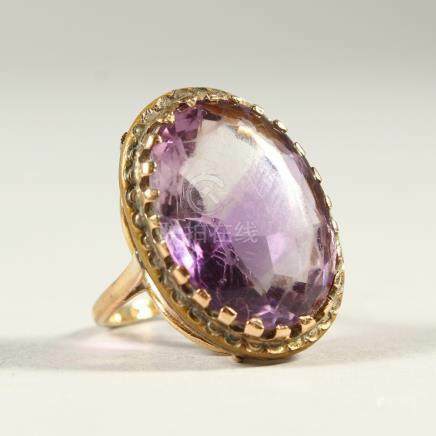 1927: A GOLD RING SET WITH A LARGE AMETHYST COLOURED STONE. 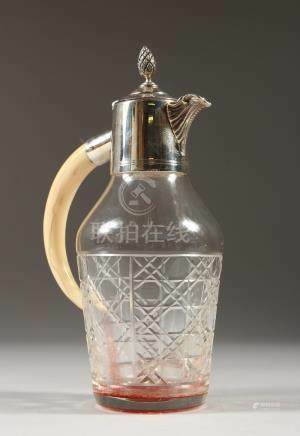 1964: A SMALL OIL BOTTLE with tusk handle. 1/ I agree to abide by these terms of business and the conditions of sale as printed in the catalogue and displayed in the saleroom. (Catalogues are sent out approximately 7 days before each sale with the exception of Victorian and General Sales). 2/ Agency. John Nicholson Auctioneer (The Auctioneer)acts as agent for the Vendor. He will not be responsible for any default by the Vendor or Buyer. 3/ Warranty. The Auctioneer makes no warranty to the effect that the catalogue description is accurate. All statements are of opinion only, and neither the Auctioneer nor hir employees or agents will be responsible for the accuracy of any opinion given. 4/ Title. The Vendor warrants to the Auctioneer and the Buyer that he has good title to each lot, and indemnifies the Auctioneer against any such defect. 5/ Damage. The Auctioneer will not be liable for damage to glass or picture frames, nor cleavage of stones (jewellery). Any other damage claim shall be settled at the Auctioneer's discretion provided that the Vendor has availed himself/herself of the Auctioneer's insurance. 6/ Rescission. Notwithstanding Paragraph No.3, if the buyer makes a justified claim to rescind a sale on the basis that the lot in question is a deliberate forgery, after taking expert advice, the Auctioneer may refund to the buyer the amount paid, and recover such monies from the Vendor if he/she have been paid out. 7/ Commission and Expenses. The Auctioneer shall be entitled to deduct commission at the stated rates and any other expenses including cartage from the hammer price. The Vendor acknowledges the Auctioneer's right to retain the Buyer's Premium. 8/ VAT . If any lot is an asset of the Vendor's business, the Vendor must notify the Auctioneer whether he is registered for VAT. He is to record his VAT number on the Entry Form and notify the auctioneer if he/she intends to operate the VAT Used Goods Scheme (Special Scheme). 9/ Withdrawal of lots. The vendor is entitled to withdraw any lot up to the point of sale. TheAuctioneer will charge a withdrawal fee of 5% of the reserve price (or lower estimate if no reserve has been set) on any lot withdrawn after the catalogue has been produced. 10/ Reserves. The Vendor has the right to place a reserve on any lot. This should be entered on the 'Entry Form' and agreed with the Auctioneer. Where 'discretion' is agreed, the Auctioneer may sell the lot up to 10% below the reserve price. Otherwise all lots will be sold without reserve. 11/ Payment. The Auctioneer shall pay the net sale proceeds to the Vendor 28 (working) days after the final day of the sale, unless the Buyer has failed to pay the Purchase Price. In this case the Auctioneer shall notify the Vendor accordingly and will agree with the Vendor to a) rescind the sale or b) take such legal steps as are necessary to recover the monies from the Buyer. 12/ Consumer Protection Act 1987/Furniture and /Furnishings (Fire Safety) Regulations 1988. Goods which do not satisfy the safety regulations set out in the above acts cannot be accepted for sale. 13/ All transactions shall be governed by English law. 14/ John Nicholson (called the Auctioneer) acts in all respects, only as agent for the seller of each lot. 15/ The highest bidder acceptable to the Auctioneer shall be the buyer at the hammer price and any dispute shall be settled at the Auctioneers absolute discretion. He may immediately put up the lot again for sale. 16/ The Auctioneer has the right at his absolute discretion to refuse any bid and to advance the bidding as he may decide. (a) The seller warrants to John Nicholson and to the Buyer that he/she is the true owner of the property or is properly authorised to sell the property by the true owner and is free from any third party claim. (b) The seller will indemnify John Nicholson, his employees and agents and the Buyer against any loss suffered by breach of (a). (a) The seller shall be entitled to place a reserve on any lot, and the Auctioneer shall have the right to bid on behalf of the seller for any lot on which a reserve price has been placed. (b) The Auctioneer may at his absolute discretion withdraw or divide any lot or combine any two or more lots. (a) All statements in the catalogues, brochures and advertising are statements of opinion and are not , nor are they to be relied upon as statements or representations of fact. Intending purchasers must satisfy themselves of all faults, imperfections and errors of description. Illustrations in catalogues are for the purpose of identification only. (b) Neither the seller, John Nicholson nor any person in his employ may, or have any authority to, make any representation of warranty, authorship, origin, date, age attribution, genuineness, provenance, errors of description, faults or defects. (a) The purchase price payable by the buyer shall be the aggregate of the final bid plus 25% buyers premium together with any VAT chargeable. For Online bidding the Buyers premium is increased to account for bidding platform provider charge. This increased premium is also subject to VAT at the prevailing rate. (b) Payment must be made in one of the following methods. ii. Cheque , accepted but only on proof of cleared funds will purchases be released. iv. Debit or Credit Cards, (please note credit/debit cards will no longer attract a surcharge. All Card payments are limited for non-attendance payment to £1000 (this is per sale and is not negotiable). Division of purchased lots for the purpose of reducing to below £1000 will not be accepted. More than one card may not be used for payment. Cards presented in person using the 'Chip & PIN' system will be accepted for any value subject to all the card issuer criteria being met. (a) Give to John Nicholson his name and full address and if so requested proof of identity. (b) Pay to John Nicholson the total amount due (unless credit terms and references have been agreed with John Nicholson before the auction). (i) Without notice to the buyer resell any lot by auction or private treaty, any deficiency between the purchase price and the resale to be made good by the defaulting Buyer and surplus (after retention of the premium) to the sellers. (ii) To store the lot or cause it to be stored at the sole expense of the buyer and to release the lot only after full payment of the purchase price, cost of removal, storage at cost, plus insurance and any other costs incurred in connection with the lot. (iii) To charge interest at a rate of 3% per month,(minimum charge one month) on the purchase price from the date of sale if it remains unpaid for more than 7 days from the date of sale. 22/ The property ownership in a lot shall not pass to the buyer until the purchase price has been paid in full, plus any charges in clauses (i), (ii), & (iii), but the lot shall be at the buyers risk in all respects from the fall of the hammer. Notwithstanding that John Nicholson acts only as agent for the seller, he shall be entitled to retain the premium referred to in condition 20 (a) here of irrespective of and in addition to such remuneration as he may receive from the seller. John Nicholson shall be entitled to a lien on any lot sold until the purchase price and any expenses are paid in full by the buyer.